Raisins in cookies have never been my favorite, but I really love oatmeal cookies. This recipe adds chocolate, chocolate chips and coconut to the traditional oatmeal cookie to give it a whole new dimension. 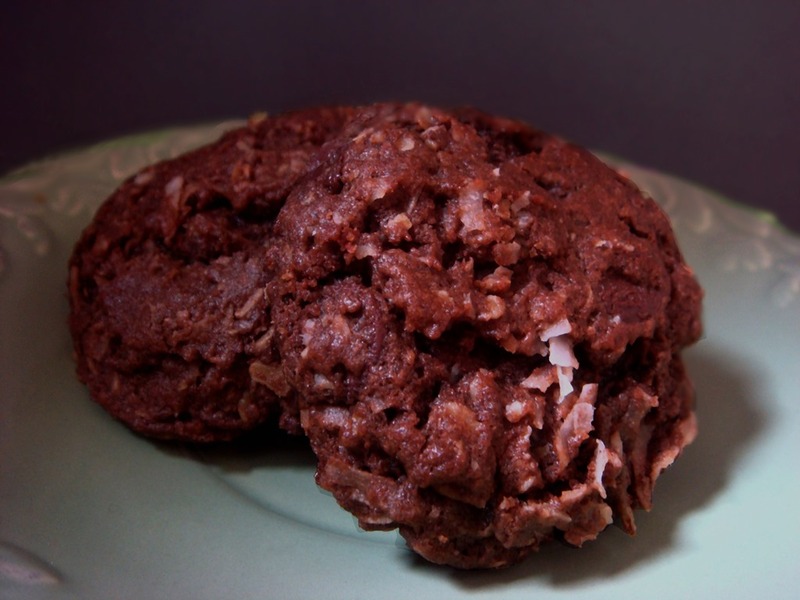 Using Dutch process or Hershey’s Special Dark cocoa will make these cookies extra rich and chocolately, but you can use regular cocoa as well. In a medium bowl, mix flour, cocoa powder, baking soda, baking powder and salt. In a separate bowl, beat butter and sugars with a mixer. Beat in the egg and vanilla. On a low speed, gradually add the mixed dry ingredients. Slowly beat in the oats, coconut and chocolate chips. Drop by rounded tablespoons onto a baking sheet. Bake at 350°F for 10-11 minutes.